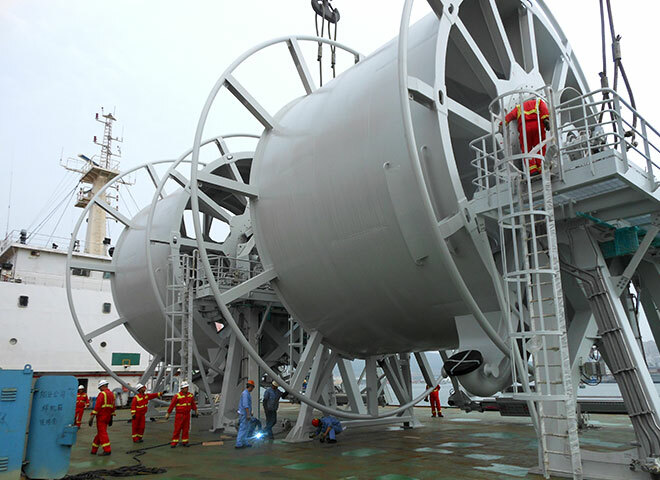 Techflow Marine has delivered a Double Tandem Offloading System for Modec’s FPSO Cidade de Caraguatatuba MV27. This project demonstrates Techflow Marine’s ability to deliver systems within tight deadlines for these fast track projects. The FPSO Cidade de Caraguatatuba MV27 will be deployed at Carioca field in the MB-S-9 block in the “pre-salt” region of the Santos Basin, which is under concession to a consortium formed by Petrobras, BG Group and Repsol Sinopec Brasil S.A. The FPSO, which is capable of processing up to 100,000 barrels of oil per day, 177 MM standard cubic feet of gas per day and has storage of 1,600,000 barrels of crude oil, is MODEC’s 5th FPSO for the pre-salt development. The FPSO is expected to be delivered by June 2016. MODEC will own and operate the FPSO for minimum 20 years.